The excerpt below from "Boys Will Be Men" details that the Merit Badge Show was held only in 1951 & 1952. It was then replaced by the Scout Circus. 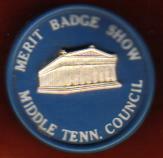 However, it was only held at The Parthenon at Centennial Park as shown on the neckerchief slide in 1951. 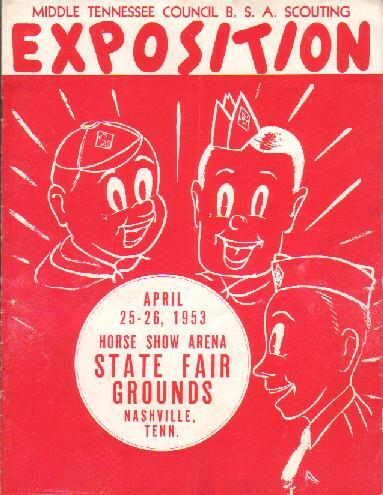 The '52 event was held at the State Fairgrounds. The excerpt is misleading if not incorrect in one area. 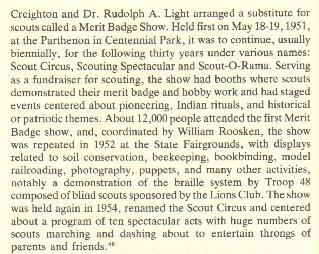 There was also a similar event held in 1953 called the Scouting Exposition. See program cover below.